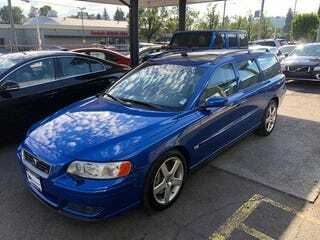 V70 and S60 Rs are getting extremely hard to find these days, but for some reason, there’s a dealer near me with SEVEN of them. Each one is nice, with the roughest example being a 6-speed manual (!). The gorgeous blue one above only has 30k miles! Each and every one of them has a reconstructed title. How? Why? Of course the listings have the requisite disclaimer that comes with every dirty-title listing “Rare, clean, low-mileage, $40,000 msrp car has reconstructed title because a car wash broke the antenna” or some such completely unbelievable nonsense. I’ve been scouring the country for these things for the last couple of weeks and can’t find squat. It’s just weird that this local place has so many and they all have branded titles.